Robert D. Langer, MD, MPH, is an epidemiologist, family physician and preventive medicine specialist with 30 years of experience in studies of cardiovascular disease, hormone replacement therapy, postmenopausal chronic diseases, breast cancer, prostate cancer, colon cancer, osteoporosis, dementia, and more than 39 years of experience as a primary care physician. He has provided expert reports, depositions and courtroom testimony in liability cases in national and state jurisdictions, testimony and reports in wrongful death and malpractice actions, and expert consultation in intellectual property matters. Dr. Langer is the author of more than 190 manuscripts in the peer-reviewed scientific literature. Dr. Langer is Board Certified in Preventive Medicine, a Fellow of the American College of Preventive Medicine, a Fellow of the American Academy of Family Physicians, a Fellow of the American Heart Association Council on Epidemiology and Prevention, and a member of the American Society for Preventive Cardiology. He is the Principal Scientist and Medical Director of the Jackson Hole Center for Preventive Medicine. 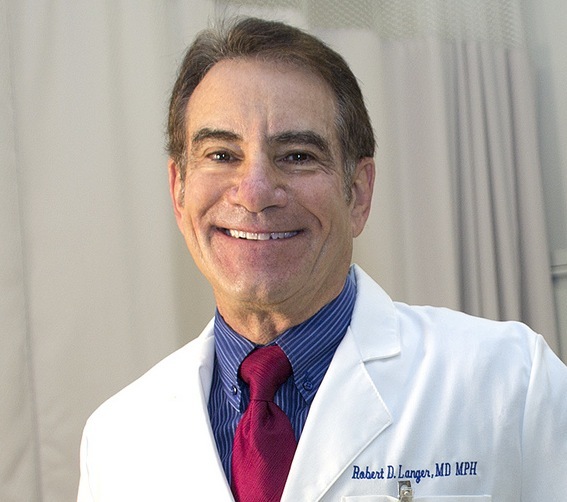 Dr. Langer was a member of the faculty of Family and Preventive Medicine at at the University of California, San Diego (UCSD) for 19 years, achieving the rank of Professor in 2000. In 2005 he became the Founding Director of the Outcomes Research Institute at the Geisinger Health System in central Pennsylvania. Since 2008 he has been the Principal Scientist and Medical Director for the Jackson Hole Center for Preventive Medicine. Dr. Langer retired as the Associate Dean for Clinical and Translational Research at the University of Nevada, Reno School of Medicine in December 2017, and remains active there as a Clinical Professor of Family Medicine. Dr. Langer was the Principal Investigator of the UCSD Vanguard Clinical Center for the Women’s Health Initiative (WHI) for the entire primary study period from 1993 through 2005, and is a past Chairman of the WHI National Investigators Committee. He was the Founding Principal Investigator for the SELECT trial at UCSD, a National Cancer Institute-sponsored study of prostate cancer prevention for which UCSD was the largest of over 400 sites. Dr. Langer was the Founding Principal Investigator for the Mountain West Clinical Translational Research – Infrastructure Network, a $20.3 million 5 year grant from the National Institutes of Health launched in 2013 to accelerate research capacity at 13 publicly-funded universities in 7 states covering 1/3 of the US landmass and 4 time zones.. He has been the originating Principal Investigator for more than 30 research studies that have generated over $48 million in extramural funding. Dr. Langer is a member of the Boards of Trustees of the International Menopause Society and the Foundation for Healthy Aging. He remains active in research as an investigator in several national and international studies in women’s health, men’s health, pharmaco-epidemiology, major cancers, cardiovascular diseases, osteoporosis and longevity, and gives invited lectures both nationally and internationally on these topics.